Royal Massage & Spa understands and provides the benefits of combining multiple therapeutic treatments to enhance the results of the therapy and healing process. You will find that a private Steam or Sauna session combined with a therapeutic massage not only relaxes your mind and body, but increases blood flow and respiratory circulation to enhance the massage therapy. You will also notice the smoother quality of your skin as the pores are purged of toxins. 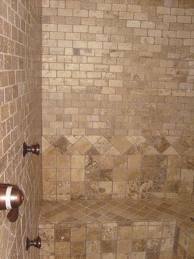 Our shower and water for the steam are sessions are filtered and softened. The Steambath and Sauna rooms are private and reserved for each client for the scheduled session, so bring your partner or family and relax together before or after your massage sessions. Both sauna and steam baths are therapeutic. 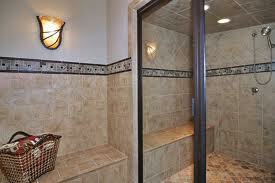 The high moisture content in a steam room is especially good for respiratory problems. For generations, doctors have recommended breathing steam for all kinds of respiratory issues. Breathing passages are soothed because of increased moisture content in your lungs, throat and nose. One of the main health benefits is that it helps sweat out toxins that can accumulate in the skin and pores. Dermatologists recognize the value of steam in creating a beautiful, healthy glow. Heat has been known to be effective against joint and muscular pain. It causes your blood vessels to expand, which increases blood circulation. As a result, more oxygen and nutrients can reach damaged parts of your body. As your body increases sweat production to keep cool, your heart works harder pumping more blood at a greater rate. This actually provides many of the conditioning benefits of aerobic exercise. A heavy sauna induced sweat really helps cleanse and rejuvenate your skin - much more than just a bath or shower alone. Please understand that saunas cannot replace exercise, but the heat does provide an environment that causes a profound cardiovascular response.